Offering you a complete choice of products which include hdpe poly sheet, road construction poly sheet and building construction polythene sheets. We feel proud to introduce ourselves as the well-known manufacturers and suppliers of HDPE Poly Sheet. The offered poly sheet for road construction is a special fabrication for the road construction work. Our supplied poly sheet for road construction is easily available at very cost effective and reasonably economic market selling rates. 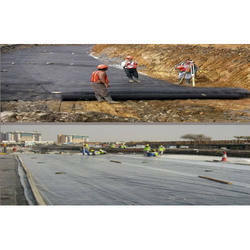 The offered Road Construction Poly Sheet is specially designed for laying beneath the tar and other road construction material and acts as a seepage barrier. Our supplied it for road construction is used to prevent the water damages and is easy to spread on the length and breadth of the required sizes of road construction. We are engaged in manufacturing and supplying with the poly sheet in New Delhi, Delhi, Rewari, Haryana, India. 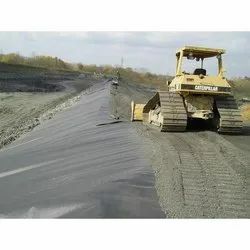 Mono Industries is a big hub manufacturers and suppliers of road construction poly sheet. Contact us now for any query. Building Construction Polythene Sheets are basically used in construction of roads and buildings for protection from dust and for separation of dry surface and wet concrete. We have established our self here in Delhi, New Delhi, Rewari Haryana, India and offers comprehensive range of polythene rolls. We are the manufacturer and supplier of Road and Building Construction Polythene Sheets in various sizes, dynamic colours and thickness and among the most distinguishable brand in industry who providing it at reasonable price and in finest quality. Building construction polythene sheets we offering are highly appraised for their whether resistance, long lasting and water proof nature and for that we are providing maximum satisfaction to our customer’s expectations. Polysheets are commonly used as vapour retarder to reduce vapour transmission from soil to concrete slab in construction. Its is remarkably used in roads, runways and footpath foundations. Sometimes used for waterproofing of terraces for restrain damages from rain water.